Robert A. Brown had more years of service to the game than anyone else. He started as APTA Treasurer in 1969, and was then Secretary, and President (1974-1975) during the time the sport was growing rapidly and expanding internationally. 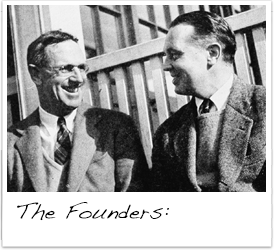 He hired the first Executive Director of the APTA, incorporated the APTA as a not-for-profit corporation, revamped the bylaws, authored the "Etiquette of Platform Tennis," and championed the yellow ball that is today’s standard. If that was not enough, the APTA brought him back on the Board in 1988 as Region I president, and then chair of the Rules and Equipment Committee. He also managed to play while handling these assignments and accumulated an impressive senior record, with a total of 39 National Senior finals, including 21 wins. In achieving his last win at the age of 84, he became the oldest player in the history of the game to win a National Championship. (Fox Meadow Tennis Club). Brown grew up and went to school in Scarsdale, NY, where he was an outstanding athlete and Eagle Scout. In basketball, he set a high school single game scoring record that stood for five years, and he still holds the long jump record of 22’ 1¼”, although back when he set the record the event was rather inelegantly called the broad jump. After graduating from the University of Virginia and obtaining an MBA from Harvard, his career took him to Indonesia for many years, where he honed his golf game and won the Indonesia National Championships four times from 1961-1964. After additional assignments in India and Pakistan, he returned to the U.S. and moved back to his home-town and club, Fox Meadow. Bob took up platform tennis at the age of 40. He had barely unpacked and started playing paddle when he was asked to run the National Championships at Fox Meadow in 1969. Four years later, he was President of the APTA and just at the start of a long career in tournament administration and APTA activities. His direct involvement with the APTA began in 1969, when he was tapped to become Treasurer, the first step in the orderly progression to the Presidency. He lived up to expectations, turned a profit and brought controls to the APTA treasury that had not been exercised before. The next step was Secretary, and then the Presidency in 1974 and 1975. Here was where the mettle of the man was tested as, by then, paddle was rapidly growing into a national and international sport. The game had come of age and there was great pressure to turn a wonderfully casual and social game into what was envisioned as a big sport and a big business. There is no question that he had a more demanding job than those before him. Fifteen hundred mail inquiries, triple what they had been, flooded the office. Courts were being built in seven foreign countries, and there was a tournament schedule of 50 sanctioned tournaments, a 75% increase over earlier years. 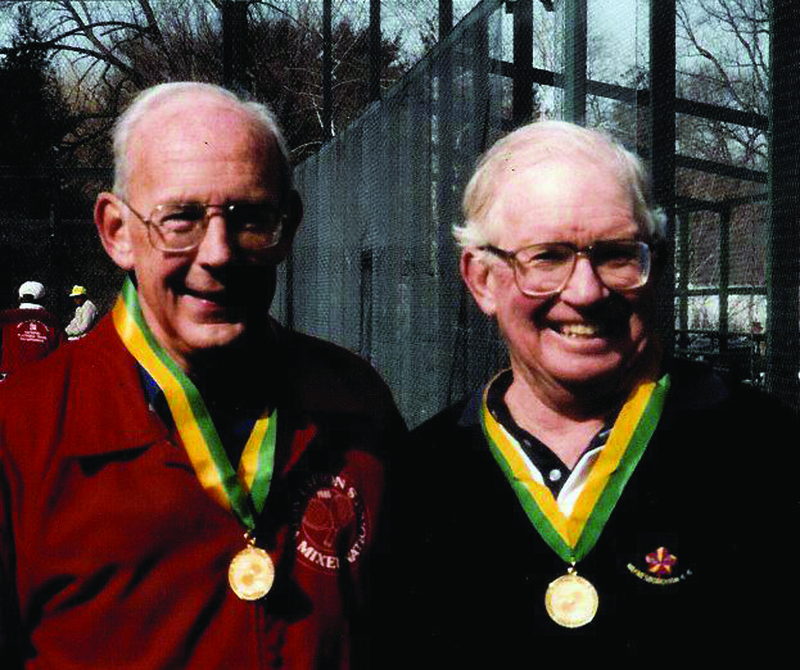 There were 3,000 paid admissions to the 1975 Men’s Championships, 300 member clubs, the first commercially sponsored tournament, the first professional platform circuit, and plans being made for the first platform tennis world championships on center court, hard by the blue and yellow awning at Forest Hills. Clearly, the game of platform tennis wasn’t casual anymore and it was beset with all the problems pertaining to that growth. During this time of change, Brown worked with his usual diligence to handle a difficult challenge—to see that the APTA handled the transition smoothly, while, at the same time, insuring that the traditions and the character of the game were maintained. 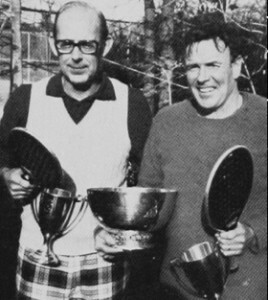 Bob had a major influence on APTA policy and plans during his tenure and while the sport was to go through a period of commercial emphasis, moving away from the game’s two primary constituencies—clubs and weekend players—the perspectives today are much more as they were in the early years of the game. History has shown him to be prescient in his viewpoints about the game and about its governing body. While Brown was president, a new set of bylaws for the association was developed, and the APTA was incorporated under the laws of New York State as a not-for-profit corporation. He organized the first APTA Umpire’s Committee and authored two brochures, including the Etiquette of Platform Tennis and How to Conduct a Tournament Draw. The logistics of no tournament were too much for him. He appointed and chaired a committee to develop a policy statement on the commercial sponsorship of tournaments, and he saw that national rankings were extended to include all the categories in which championships were played. He championed the yellow ball that is now the standard, and he headed a much-needed “Foot Fault” project while President, one more attempt to struggle with a problem that the APTA had been plagued with for decades. In 1998B, after a two year trial period, Brown succeeded in obtaining the approval of the APTA Board to adopt the no-let on serve rule. Because the game had now grown beyond the reasonable limits of volunteerism, Brown moved the APTA to hire its first paid employee, an executive secretary, a post that shortly thereafter became Executive Director. In 1976, the APTA President’s Council was formed, with Bob as chairman, and he stayed on the APTA board until 1979. But, he wasn’t through. Almost 10 years later, in 1988, he was re-elected to the board, the only past director or officer to be so honored. The APTA knew who to go to when a job needed to be done, and they needed a director with some historical perspective who could be productive right away. His responsibility was first as President of Region 1, and then to run the Rules and Equipment. Committee. At the time the ball was lousy, the racket was undergoing innovative changes, there was a need for standardization, and the ubiquitous foot-fault was lurking. Tackling all this required lot of attention to details and painstaking work, but the job was addressed with his usual conscientiousness and consummate skill. Most importantly, he got manufacturers to follow APTA equipment standards. This second “stint” closed after a total of 22 years of service on the APTA Board. After Bob was inducted into the Hall of Fame in 1993 (Honor Award at that time) he again served as Chairman of the Hall of Fame Committee until his retirement from the Committee in mid 2013. 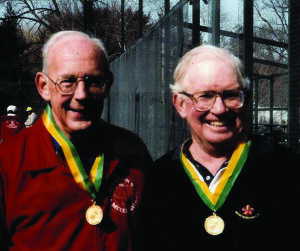 All told, Bob served as Hall of Fame Committee Chairman for 26 years, and administered the induction of 46 honorees into the Platform Tennis Hall of Fame. 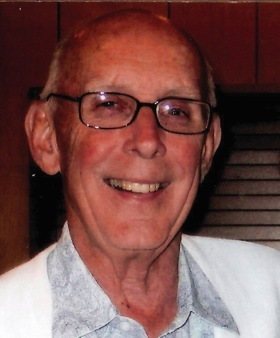 In addition to being a doer, Bob brought considerable logic, great common sense, vision and patience to his many years of service to the APTA. He embodied the basic philosophy behind the association–—service and devotion to the game. And amid all of this, he found time to play. The fascinating thing about this game is that exciting play doesn’t reside only within the traditional age groups in men’s and women’s championships. It is also strikingly evident in the older age groups, unlike tennis, where the game slows down. But, that is not as evident in paddle. Our candidate is still an exciting player. With great hands, great moves, and great concentration and tenacity Bob was an exciting player with a fine record on the “senior” circuit. He won the 50+ in 1978 and was a finalist twice in 1979 and 1980. He was a finalist in the 50+ mixed masters in 1991, and finalist in the men’s 55+ in 1990. He won the 60+in 1990-1991, and 1993-1994, and was a finalist in 1996-1997. He had a hat trick in the 65+ in 1993-1995, won four more times, and was a finalist twice from 1996-2002. He continued his winning ways in the 70+, winning three times and being a finalist five times from 1998-2007. And in the 145+ event over the 12 years since its inception in 2001 he has won six times and been a finalist three times. All together he amassed a total of 39 National Championship finals with 21 wins and 18 as finalist. The last win was at the age of 84 making him the oldest player in the history of the game to win a National Championship. Brown has served as the Chairman of the Platform Tennis Museum and Hall of Fame Foundation from its inception in 2002.